My oldest child graduates high school this Spring and will be heading off to college in August (sniff, sniff)! There are so many areas of life that he really hasn't had to worry about yet and I am trying to get him ready. Kids are so ready to be adults when they go off to college, but they don't realize all the work that being an adult entails! 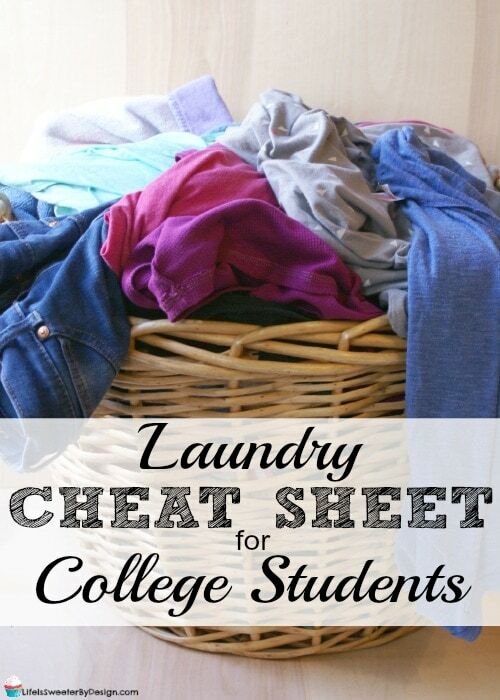 This fall he will be on his own with his laundry and I thought he needed a laundry cheat sheet for college students! I thought about all the intricacies of laundry…so many options…so many cycles. The washers and dryers just keep giving us more and more options for how to wash our clothes. I have a feeling the washers in the dorms will be pretty basic! 🙂 This laundry cheat sheet for college students is to the point and REALISTIC! I know that my son probably won't sort his laundry into 5 piles….I pray he will at least wash his towels separately from his clothing!! You may have a college age child that is very advanced in the area of laundry and if so this cheat sheet may not be for them! These are the BASICS so that you don't ruin your clothing and so that you smell clean! I am also going to be sending my son off with laundry supplies to last him all semester. This will be one less thing he has to worry about or spend money on and he won't have an excuse for not having clean clothes to wear! The best way to get a semester's worth of laundry supplies is to head to Sam's Club. College is expensive…and every bit of savings will help! 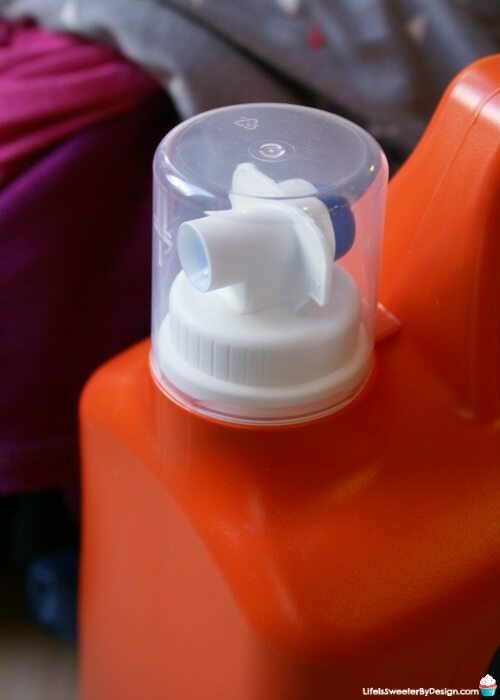 The convenient, no-mess dispenser and dosing cup is perfect for college students. It ensures an accurate measurement for all load sizes and for penetrating stains! 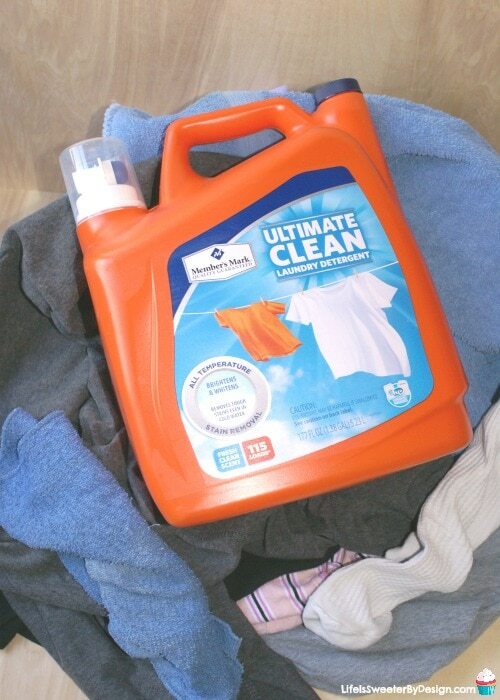 The Member's Mark Ultimate Clean Laundry Detergent is perfect for busy college students! Be sure to print off your free 2 page Laundry Cheat Sheet for College Students and get your child ready to be on their own. You can even laminate these cheat sheets so they will stay nice and fresh all year-long. Just click the images below and you will be able to download and print! What is your favorite laundry tip for college students? 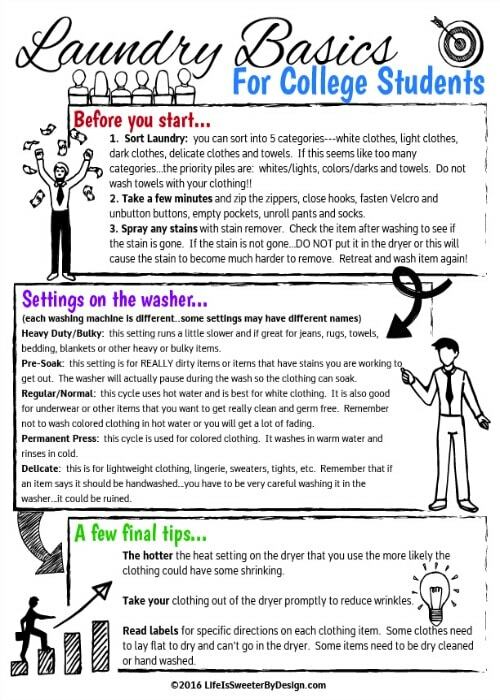 Does your child need a laundry cheat sheet? Thanks for stopping by Jesenia! Oh this is awesome. My son graduated and could still use this cheat sheet. 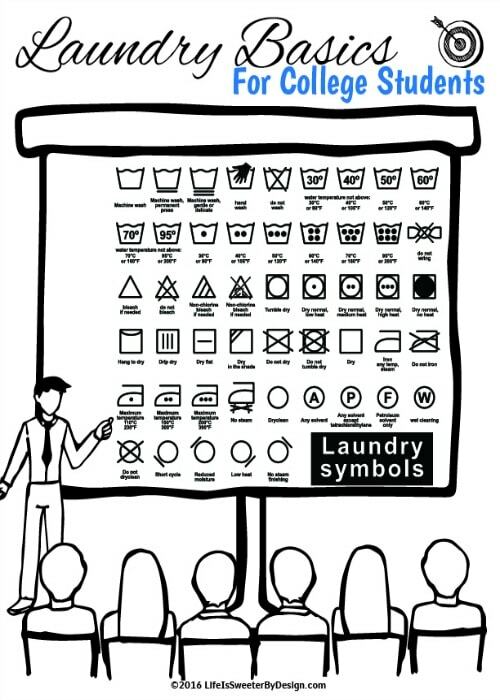 I love the laundry symbol guide. My daughter was only 2 hrs away so she brought her laundry home unfortunately! You really have to teach them the right way because otherwise they will just dump it in the washer and that’s it! Lol. It’s nice to create a cheat sheet for them and it’s good to have such a reliable laundry detergent. Awesome! Woah this is great. I will tell this to my friend! She really need to know this. Thanks! Ah! These are good tips for college students. Don’t want to think about when my kids are off to college! This is so cool and very useful. The infograpics could come in handy too. Thanks for putting this up! This would be really helpful for college students. Thanks for the idea and tips! Thanks Nicole, hope it helps! What a great cheat sheet! My 4 year old already wants to help with laundry so maybe I will get lucky and he will be ready if he goes to college. That is awesome! I am doing good to get my younger 2 kids to put their socks in the laundry basket. These are great tips for people who are just learning. I already have my kids helping me with laundry so they can do their own as they get older, but there are somethings that I haven’t taught them yet – so this would be a good reference. Thanks Coralie! It is a handy reference to just keep in the laundry room for anyone! Sounds like your kids are on the right path!